Top Networks provides reviews and testimonials for the best CPA, PPC, and mobile advertising networks. Each advertising network on TopNetworks.com is ranked by members who are currently using that network or have used the network in the past. Using the combined scores of all testimonials and reviews left for the network, we compile the rank scores to determine the network's average rank. Networks ranked on the top list are ranked by their overall average score. These scores provide affiliates, media buyers, mobile app developers, and publishers insight into the real history of the network. Advertising networks that take care of their members by providing on-time payments, quality ads and offers, and attentive customer support are ranked higher on the list. CPA stands for Cost Per Acquisition. This means that affiliates are only paid when they acquire new leads or customers for an advertiser. The better the affiliate's traffic performs, the more they earn on the CPA network. The CPA model is often prefered by the advertiser, but not by the affiliate. PPC stands for Pay Per Click. Unlike CPA, PPC affiliates are paid on a per click bases. Many advertisers perfer the CPA model as it guarantees them ROI, however they usually settle on PPC because it is the most popular way to advertise online. More than 80% of affiliate networks offer this option. Mobile ad networks pay affiliates on a CPI bases, also known as Cost Per Install. When a mobile web or mobile app visitor encounters a offerwall or content locker, they are asked to install a mobile app in exchange for an in-app reward or mobile web content. 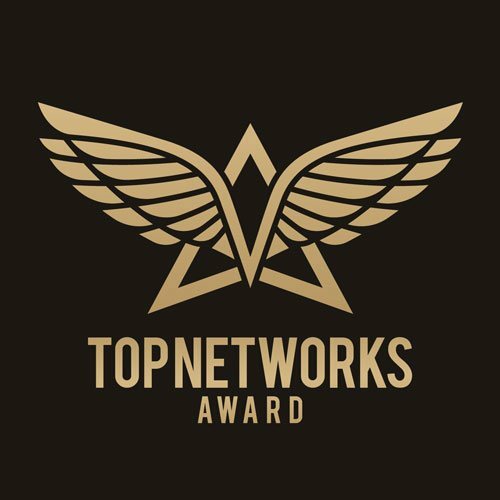 In our continual effort to reward networks for their quality of service and integrity, Top Networks annually honors the top 10 ranked networks with a custom plaque. Each plaque has the network's name, rank, and score for the ranked year. By providing these rewards, we continue to fulfill our mission of preserving and celebrating networks who live up to their purpose and their promise. Our belief is that if every network knew they were being judged for their every action and every decision, not only would the quality of the network improve, but earnings for members would improve as well. Since the very beginning of online advertising in 1993, year after year web content creators had a continuing and ever increasing incentive to create quality online content. Without online advertising, it is said that more than half of the webpages on the internet would not exist, and more than 50,000,000 jobs worldwide would never have existed. Similar can be said for mobile apps. More than 90% of mobile app developers monetize their mobile apps with ads. In most cases, freemium and other types of mobile apps that use mobile advertisements as their main revenue source, outperform paid apps in terms of customer satisfaction. The importance of online advertising networks cannot be understated and the preservation of network integrity and quality is more important than ever. Today there are hundreds of advertising networks making promises to mobile app developers, media buyers, affiliates, and publishers that they never intend on fulfilling. There are endless stories on forums, blogs, and social networks of networks taking advantage of their members without being held accountable. Top Networks hopes to expose networks who do not live up to their promises, and bring a spotlight to networks who do live up to their promises. As Online Advertising continues to grow as a multi-billion dollar industry, there are new networks that appear every year with a new idea, a new way to display ads and earn affiliates, publishers, and mobile app developers more money. Innovative networks often think of new ways to create any combination of CPI offers, CPA offers, PPV ads, PPC ads, Video Ads, Interstitials, Pop Unders, or Banner Ads into their own proprietary blended ad format. Top Networks ranking system will reward these new online advertising networks as well as established networks by focusing less on the quantity of reviews, but more on the quality of reviews. If there is an online CPA, PPC, or mobile CPI advertising network that you do not see ranked our list, please complete our contact form and ask us to add it. Our team will typically add new networks at least once a week, and we review user submitted reviews at least once a day. We would like to thank all online advertising networks, affiliates, media buyers, publishers, and mobile app developers for making top networks the leading resource for reviews and testimonials for top advertising networks.